War has been a favorite topic of cinema from the very beginning of the medium. Few experiences can compare to the extremes of war, the stakes are huge and few subjects make for such compelling narratives. It’s no coincidence that Hollywood’s Golden Age ran right through World War II, starting in the mid-thirties and continuing on to the early fifties. However, there is a particular genre of war film that didn’t have its heyday during the war, but after– in part because it focused on an aspect of the fighting which filmmakers weren’t eager to highlight during the conflict –the genre of films that deal with the experiences of prisoners of war. As a whole, films in this genre tend to follow a set structure. Men from different walks of life, sometimes different countries are imprisoned together under the harsh circumstances of war and must band together to escape. POW movies provide more than a convenient movie formula, they make for perennial classics because they explore universal themes of human nature, our capacity for self-sacrifice and the unshakable determination that comes with the innate desire for freedom. Staring Frank Sinatra as the complex Colonel Von Ryan– an American officer despite the German name –who leads a group of British and American POWs on a mission to escape the Italian peninsula after they capture the train transporting them from Southern Italy into the German heartland. Conceived after the success of The Great Escape, Von Ryan’s Express can at times feel like a cheesy imitation that adds the train element to keep things fresh. The performances aren’t always convincing, the rear-projection effects haven’t aged well and the film’s attempts at humor fall largely flat, but if we’re willing to overlook its flaws, the film can be an exceptionally entertaining action thriller. The high point of the film is the bravura final sequence where Von Ryan leads a detachment of men to hold off the pursuing German troop train while the other POWs fix the tracks that will take them into Switzerland. Not a must-see, but an excellent rainy day watch. Rescue Dawn is inspired by the real events surrounding the escape of Dieter Dengler from the hands of Laotian captors during the Vietnam war. Werner Herzog chronicled Dieter’s story in his documentary, Little Dieter Needs to Fly and revisited the material, this time in fictionalized form and with a helping of Hollywood glamour. Dengler was awed by flight when he witnessed the bombardment of his German home town during WWII and the event made such an impression on him that he emmigrated to the US to train as a Navy pilot. Rescue Dawn picks up with Dengler flying his first, ill-fated sortie in the Vietnam war where he’s shot down by anti-aircraft fire and taken prisoner in the jungle. Rescue Dawn is an unlikely straightforward project for Werner Herzog. It’s a big-budget Hollywood production with a cast anchored by Christian Bale that tells an inspirational story of escape and survival. The film fits in, or rather sticks out, in Herzog’s filmmography much the same way that The Straight Story does in David Lynch’s. Herzog’s affinity for the material starts to become clear in the third act, easily the best part of the film, which has palpable similarities to Herzog’s early features– Aguirre and Fitzcaraldo –where “civilized” men are driven mad by their attempts to survive in the primordial jungle. Rescue Dawn can at times be awkward, when it feels like Herzog’s personal style– of a documentarian with an eye for the absurd –clashes with the polished Hollywood narrative. 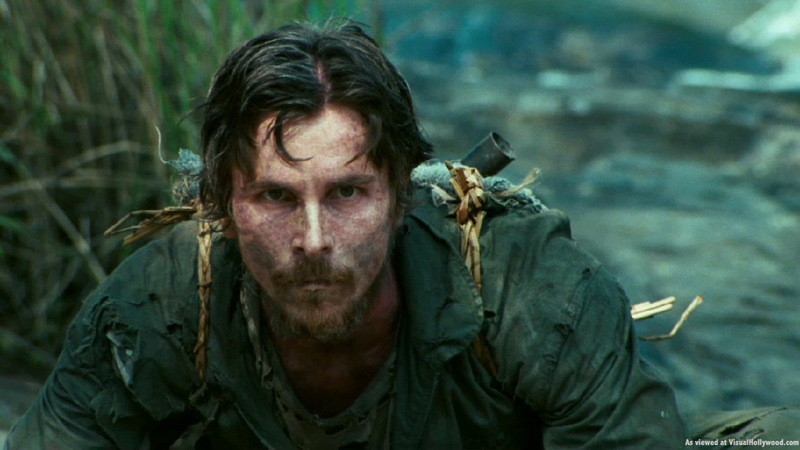 The two sensibilities are never quite in sync, however, the story of human ingenuity and determination in face of insurmountable odds and Christian Bale’s performance are so compelling that the film easily stands the test of time. 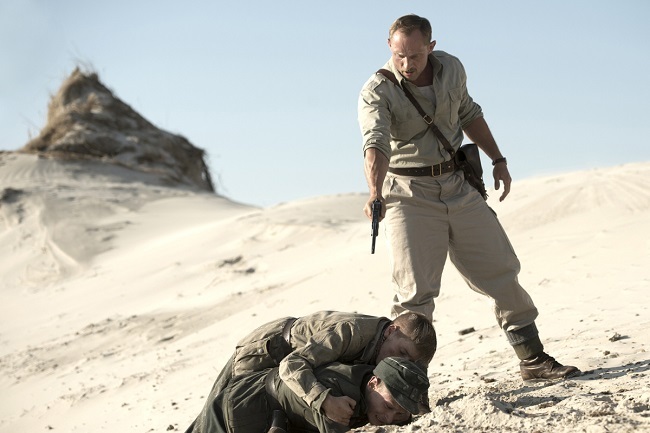 The film takes place in Denmark shortly after its liberation from Nazi occupation and focuses on a group of German POWs forced to clear by hand the thousands of land mines laid on a stretch of beach. There’s a tremendous amount of tension built into the premise, as the mines are set to a hair-trigger that marks the tenuous line between life and death. The film accomplishes the task of making us care for the Germans by casting them as children, barely old enough to understand the consequences of the war they were conscripted to fight. But the real emotional gut-punch of the film comes from the touching dynamic that builds between the young POW’s and their captor, a Danish Sergeant (Roland Møller) who is dealing with his own complex trauma. Land of Mine stands out from most other films in the genre for dealing with the experience of Nazi prisoners, rather than allied troops in WWII. It’s a testament to writer/director Martin Zandvliet’s filmmaking that we identify so deeply with the Nazi captives as well as their lonely Danish captor. The film received a well-earned nomination at the Academy Awards for Best Foreign Language Film, but lost to Asghar Farhadi’s The Salesman. Still, the film is very much worth watching and stands as one of the most moving films in a genre known largely for thrills. 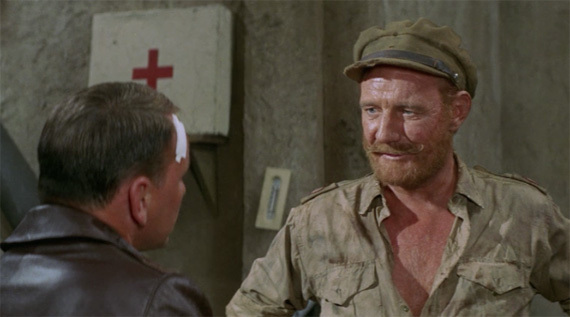 Stalag 17 established the many of the hallmarks of the POW genre though there are some earlier examples– notably Renoir’s La Grande Illusion. The film revolves around the prisoners of the eponymous camp and their attempts to uncover a Gestapo mole in their midst. Suspicions fall on Sgt. Sefton (William Holden), who buys privileges from the guards using the cigarettes he earns through various hustles. But when the emnity of his bunkies begins to threaten the comfortable position he’s built for himself, Sefton sets out to prove his innocence and eventually to redeem himself by planning a last ditch escape attempt. Billy Wilder brings his trademark wit and humor to the film, which may seem like a strange fit of tone and subject matter, but Wilder manages to show that humor and camaraderie is sometime the most effective response to captivity. Stalag 17’s combination of prankish humor and the terrors of war can make it feel like a predecessor to MASH and both films are ensemble comedies set in war time and both films spawned long-running television adaptations– Stalag 17 served as the unofficial basis for Hogan’s Heroes, which ran from 1965 to 1971. 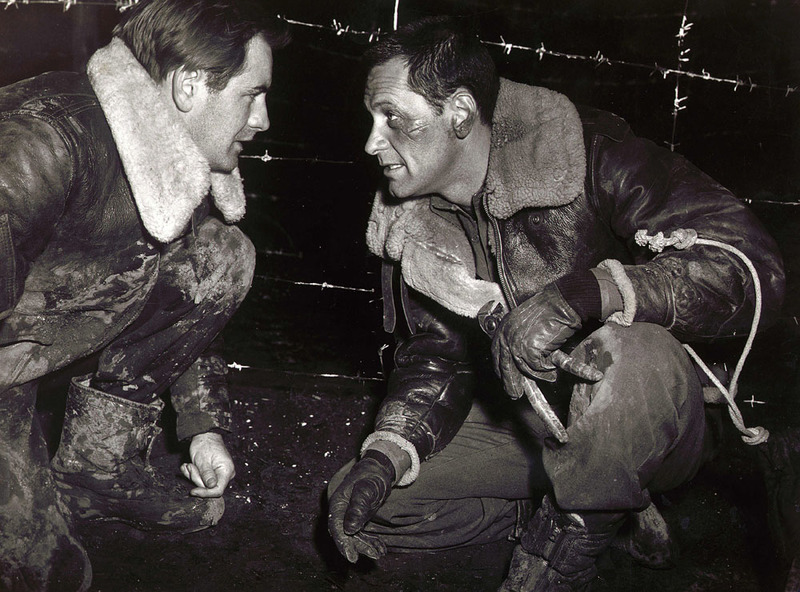 Ultimately, Stalag 17 is an accomplished picture that works on just about every level, it only suffers in comparison to other works in Wilder’s astonishing filmmography. There is very little that happens in A Man Escaped that can’t be guessed from the title. 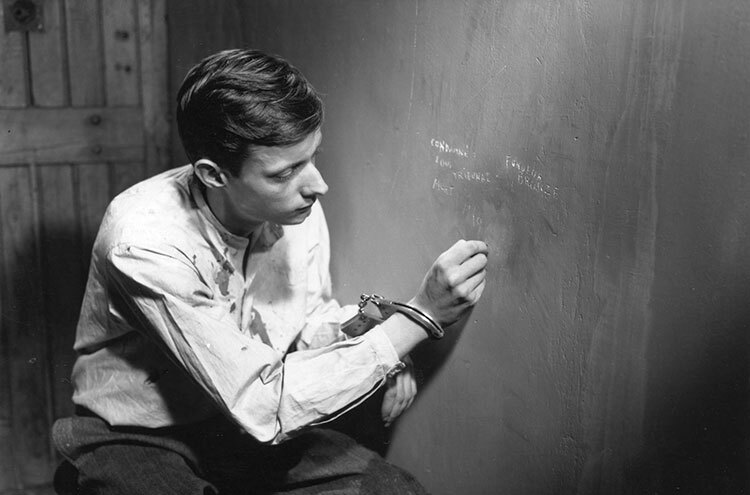 A member of the French resistance in a Nazi-controlled prison plans and executes a meticulous escape that is all documented by Robert Bresson’s equally meticulous camera. 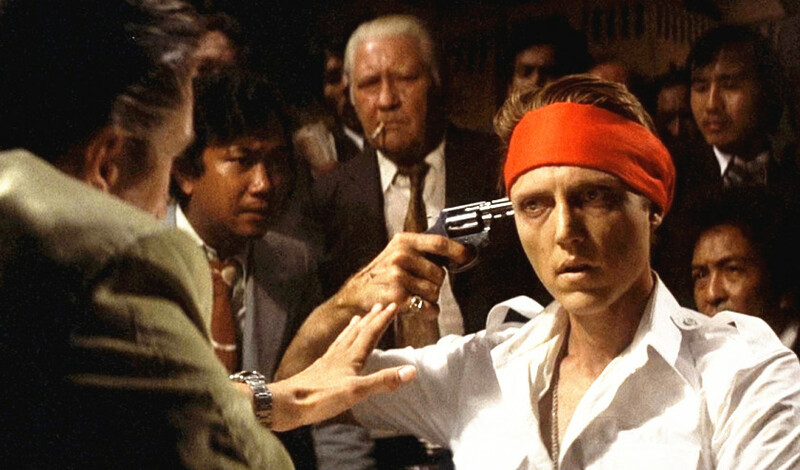 So what makes A Man Escaped a great film? Paul Schrader, before he embarked on his career as screenwriter and then director, wrote an influential bit of film theory in which he included Bresson as a practitioner of the “transcendental” style of filmmaking. It’s an apt description for the directors peculiar technique, which uses long, static, silent takes to hypnotize the audience into a meditative state. The absence of distractions puts a laser-focus on the movie’s themes. The drawback is that you might fall asleep before being mesmerized and if that’s your speed, maybe the transcendental style just isn’t for you. But if A Man Escaped manages to put you under its spell, you’ll be able to see it as a poetic abstraction about man’s universal struggle for freedom.